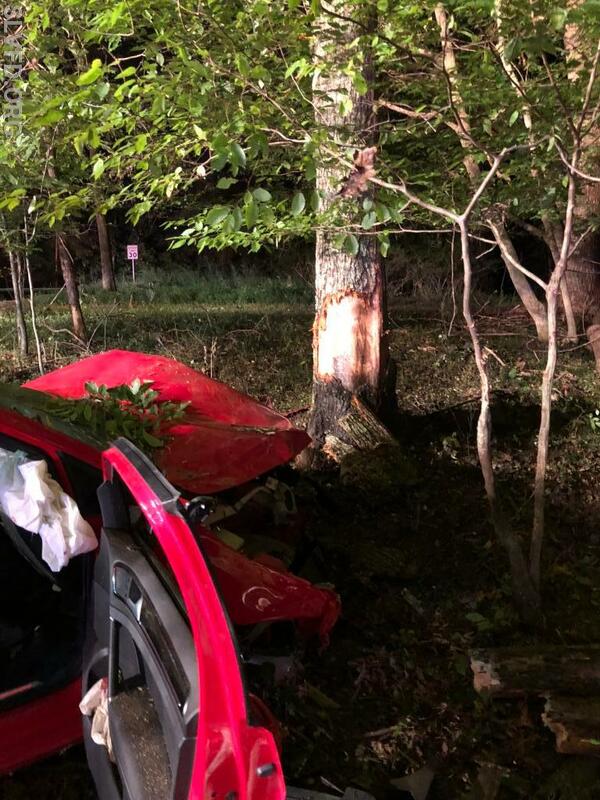 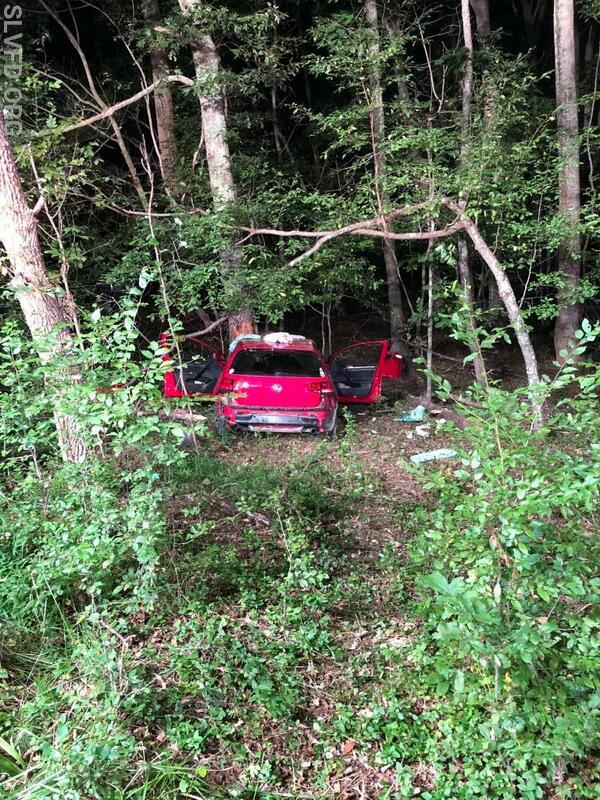 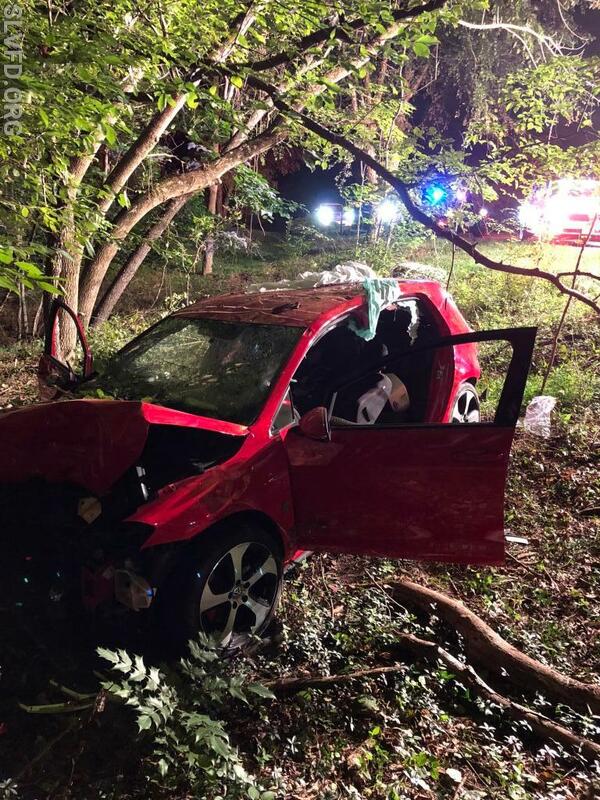 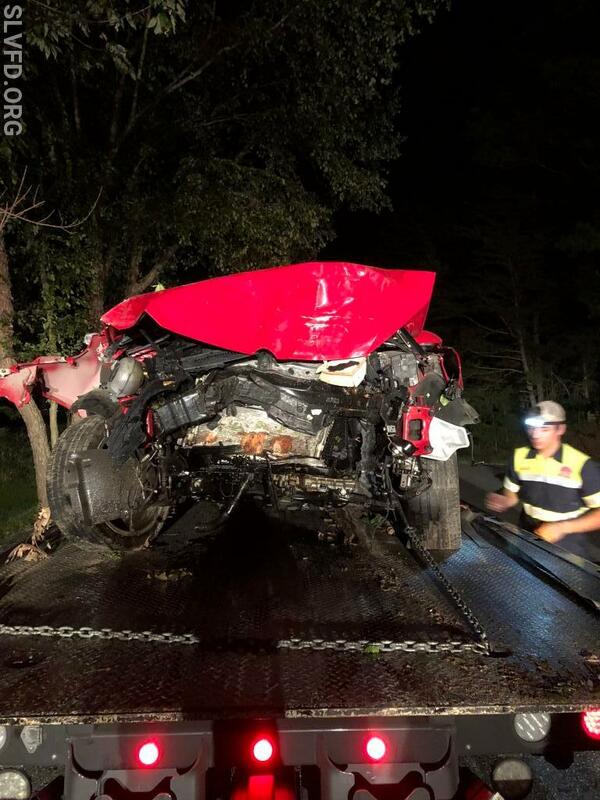 On Wednesday, August 29th, 2018 at approximately 2206 hours, Ambulance 77 who was in the 1st due conducting drivers training came across a vehicle into a tree with two subjects still in the vehicle on Bond Street. 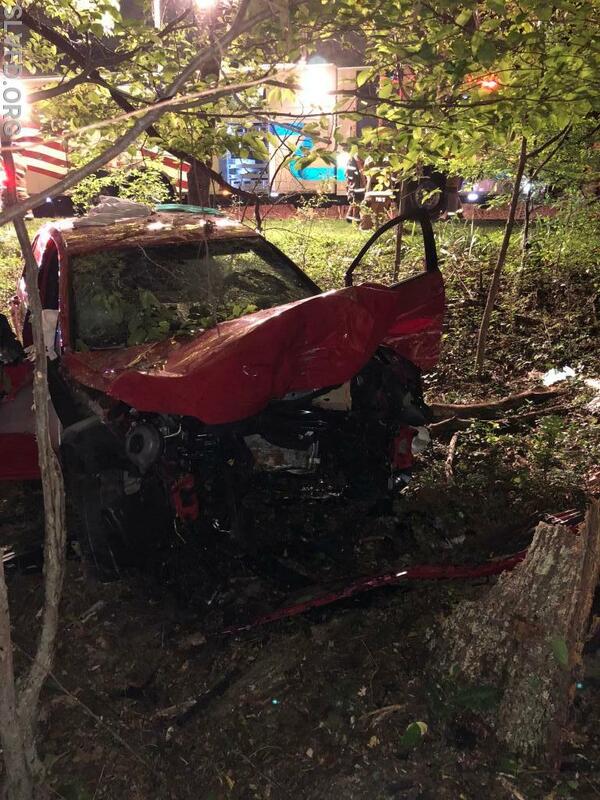 The full assignment was immediately requested bringing Chief 7, Chief 7B, Squad 7, and Ambulance 78. 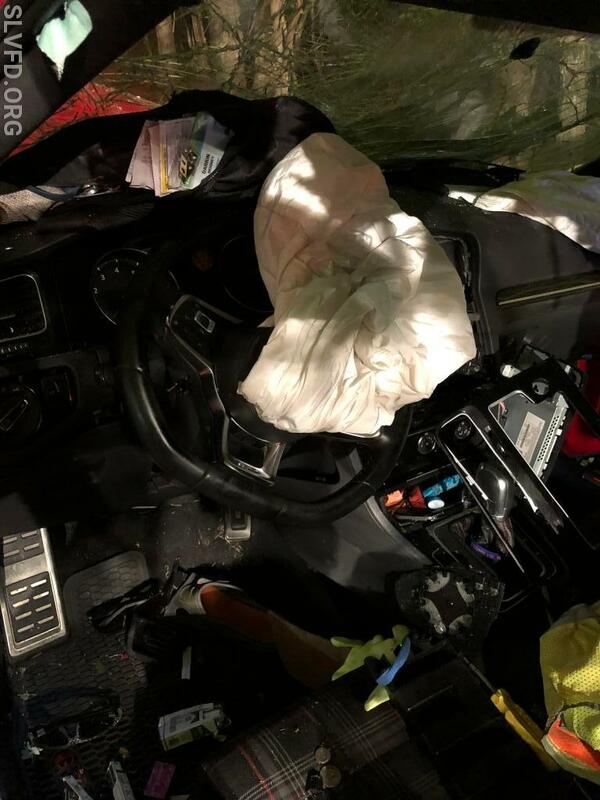 Shortly after the arrival of the additional units, the two occupants were safely extricated from the vehicle and handed over to EMS personnel. 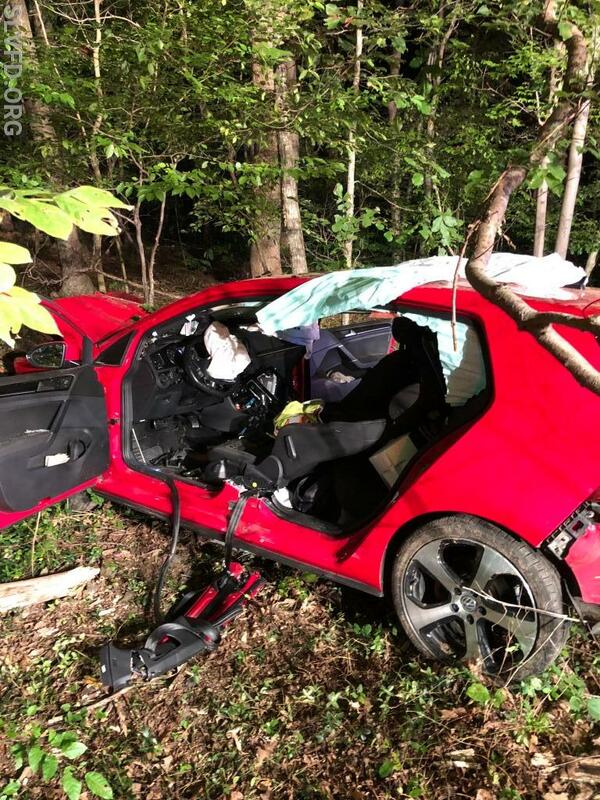 Ultimately the two occupants were transported by Ambulance 77 and Ambulance 78 to a nearby landing site handled by Engine 71 and transferred to Trooper 2 who then transported the two occupants to a local trauma center. 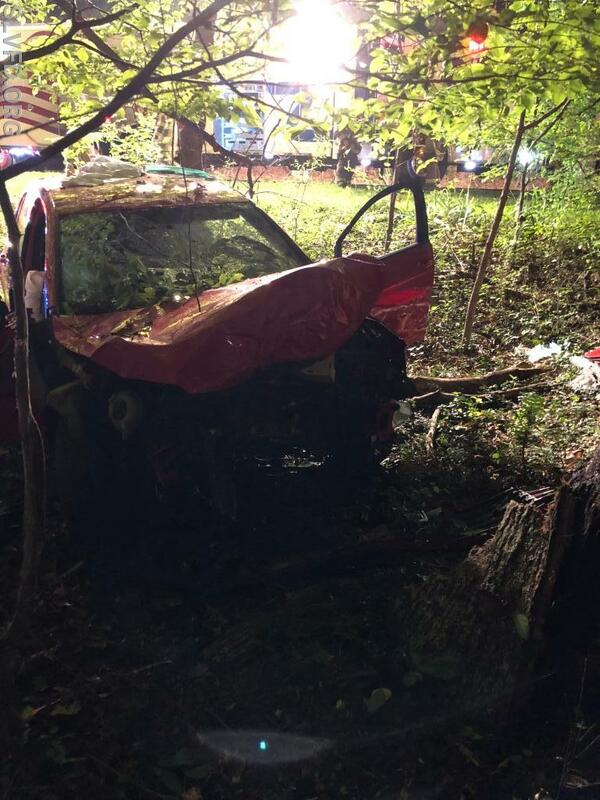 St. Leonard units operated for approximately one hour.